1. In order to start a discussion on the electoral system, in my view we have to start from the following question: what is the electoral system for? There are two answers: first, to form a government majority, and second to represent the feelings of a collectivity. The two answers implicitly contain the broad outlines of electoral systems: majoritarian, which give predominance to governability, and proportional, which focus on representation. I think the first system, majoritarian, is better. I’m going to explain why. 2. It is by moving to the majoritarian principle that we end up producing a new way of governing and a new form of opposition. For sure, the majoritarian principle is to be presented with its two faces: one as a “rule for election” relating to the manner in which the majoritarian voting system operates, and another as a “rule for government”, which places emphasis on the principle of political responsibility and thereby the role that the electorate plays in the government’s choices. The objective is to ensure the formation of stable and effective governments that can last for the full term of Parliament and which will be answerable for their actions before the electorate. In fact, a government is stable not only on the strength of its term in office, but also when its incumbency is regularly reviewed and confirmed in free elections. Moreover, a government is effective when its decisions meet the requirements of the voters, who may return the government to power or dismiss it from office, thereby creating a system under which parties take turns in power. This system is grounded on a process of enhancing popular sovereignty, which as the electorate, is called upon to elect representatives in the awareness that it is also electing its government. This means that before voting, the people, or the electorate, will become aware of the manifesto for government, and the people who will implement it. The electorate will be put in a position to recognise, prior to the result of the election, what political direction will be pursued, should one grouping or the other win (in other words, should they be returned with a majority). The electorate is able to keep a government in office with its votes, or to ensure that an alternative government wins, which will have previously organised itself through constructive opposition. This is also a new form of freedom, which may be traced back to the principle of popular sovereignty, namely the freedom to associate in order to take decisions, the freedom to participate actively and in person in the conduct of national politics through the “direct” choice of the person responsible for the policy direction, and equally the freedom to change governments when they no longer deserve to hold office. This is how it works in numerous liberal democratic countries spread around the globe. 3. However. There is the problem of good government. It is very important problem for democracy. From the viewpoint of constitutional theory, good government has a more empirical meaning, which can be summarised thus: a government freely chosen by the electorate and which is answerable to it; a government subject to the judgment of its voters, which can act on it using the vote as a “constitutional act” which may either reward or punish it, or renew or withdraw trust. A new form of the constitutionalism of powers thereby manifests itself, based on an institutional combination which is difficult to circumvent in today’s globalised age, namely that of “loyal cooperation”, so to speak, between the representative component and the “plebiscitary” component within democratic constitutional States. The two components have supplemented contemporary democratic constitutional States because they meet a twofold requirement which is particularly felt today by citizen-voters: that of being represented (and I should add feeling represented) and that of participating in political policy choices through the investiture of governments. Let us consider some European examples: in the United Kingdom, Germany, Spain and France, governments and their leaders are elected by the majority of voters on the basis of a political programme which has been considered to be more convincing than that of the political alternative. This accordingly results in the creation of a European constitutional heritage in terms of the form of government – with “direct legitimation” – in addition, as has been known and established for some time, to the heritage of rights and freedoms. 4. Of course, there are many electoral systems around the world: in fact, each country has its own. It is almost as if electoral laws involved absolute sovereignty exercised by setting up one’s own electoral system without copying or reproducing the models of others. Consider the two rounds of voting in France, the plurality system (“first past the post”) in the United Kingdom, the threshold clause in Germany, and the restricted provincial electoral districts in Spain. Italy too without doubt is entitled to have its own electoral system, and there is no dearth of solutions; starting from the restoration of the majoritarian system for 75% of seats with proportional representation for the remaining 25%, and with no subtraction of votes or other fanciful rules. The important thing is that there is an electoral system aimed at promoting the formation of a majority and a government that is chosen and legitimated through the electorate’s votes. In Italy, since 2006, there is an electoral law, which has been widely criticised, that is proportional with “prize” of additional seats for the parties who win the elections. One month ago the Constitutional Court declared this unconstitutional because it is undemocratic. 5. Another question is the Lobbies and Law regulation. Pressure groups – or Lobbies – are a crucial element of a liberal democracy for the simple reason that they are consubstantial to the guarantee of maximum transparency in public decision-making. In pluralist democracies, the existence of groups of individuals, who advocate specific interests with the aim of influencing public decision-makers, is essential. An excellent example is the United States where lobbying is part of the politico-constitutional structure to the extent that it is considered “as American as apple pie”. It is common knowledge that lobbying is protected by the First Amendment, as it is considered an expression of freedom of speech used to convince the public decision-maker (as held by the Supreme Court from U.S. v. Harris 1954 onwards). Furthermore, the public decision-maker has felt more and more the need to acquire information and knowledge from advocacy groups especially when deciding on highly technical and specialised issues. From this point of view, legal scholarship has underscored the positive effects of pressure groups given that they often provide elements that are essential for understanding the impact of certain decisions, although it has to be also pointed out that this can sometimes result in rather obscure legislation that is difficult to interpret. 6. 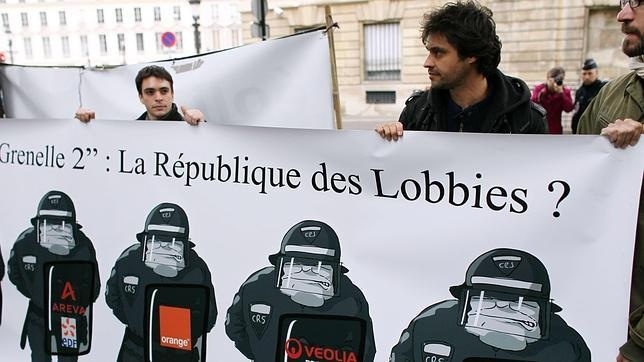 In many countries lobbying is subject to very clear rules having the aim of ensuring the transparency and the participation of pressure groups in decision-making. Albeit with significant differences, these countries (United States, Canada, Israel, France, Great Britain, Australia, Hungary, Poland, Estonia, and Lithuania) have all felt the need to render pressure groups public by establishing rules that have the aim of ensuring the transparency of decision-making. Comparative studies show that in legal systems where Parliament is “strong” – in the sense that it plays a key role in the political process – there are rules on the parliamentary representation of lobbies; on the contrary, when Parliament is weak interest groups tend to be more obscure. 7. I do believe, however, that by acknowledging the crisis of the party system one can affirm that lobbying is not only legal, but useful and precious for the public decision-maker. Useful not only to acquire technical information that would otherwise be difficult to obtain and understand, but also to avoid an unsustainable economic and social impact. Lobbying is therefore a social and economic infrastructure capable of bringing together private parties and public decision-makers albeit within their respective areas of responsibility. The crisis that has influenced political parties, which were conventionally the ones that gathered collective interests, beckons lobbying to be regulated. One can no longer deny that interest groups have always existed and will exist in an evolved society. The goal to be reached is that of rendering lobbying more transparent in terms of the activities, the aims, the human and financial resources employed and the groups involved in advocating given interests. The aim is therefore not to introduce a new profession or to impose a new and greater onus on interest groups, but to rationalise an activity that already exists (and is unregulated) so as to provide the public decision-maker with clear instruments and support as well as well-defined aims and objectives and, at the same time, guarantee that citizens are informed of the reasons (not only political) underlying the decision that has been taken. One final observation: democracy requires transparency, and transparency requires a law on lobbies. If you will allow me ,that, I believe is how things stand.